Custom formulating and blending service in USA, Canada, Europe. Custom formulating and blending is one of our strengths. Our staff chemists have over 30 years of chemical product development experience. We are confident & we can formulate a product to meet your needs. We have created chemical products for many varied industries and for a variety of applications. We are experienced in putting together detergents, acids, alkalines, non-flammable solvents, oil-water emulsions, surfactant blends, and wax blends. 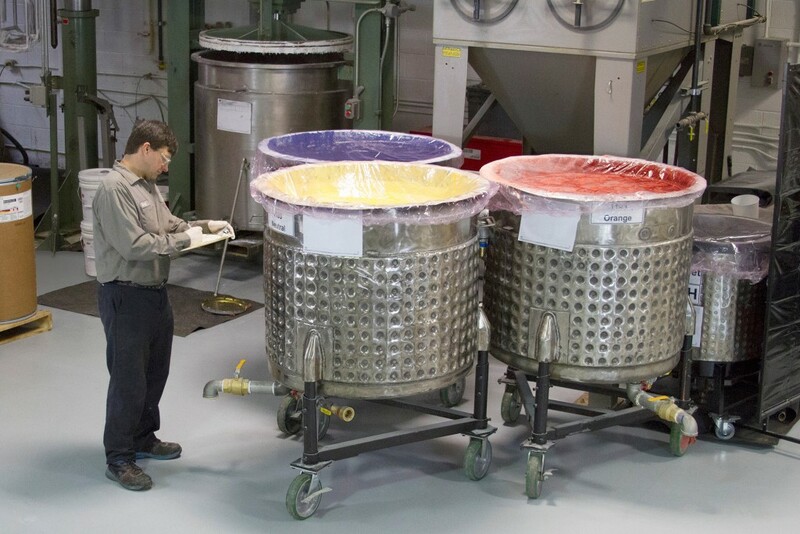 We have blending facility of 25 mixers with a total volume of 23,000 gallons. Blenders are heat jacketed high-speed lightning mixers. They have a dedicated pump and line blending and distributing finished products to different containers. Custom batch / blend any loose dry grain aggregate to meet your specific requirements. Blend virtually any dry grain or powder. Add catalysts and / or other wet additives during the blending process. Blend colored quartz or vinyl flakes in a wide array of color blends for flooring or pool applications.